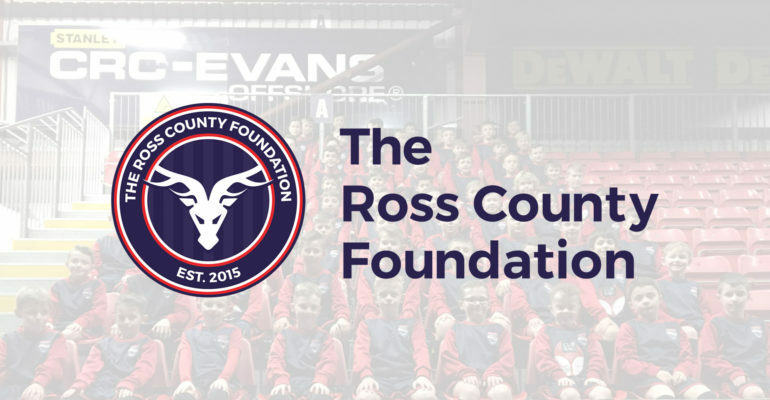 The Ross County Foundation (TRCF) was today launched by Head of Youth Development and TRCF Chairman, Steven Ferguson, and first team player and club captain, Paul Quinn. Also in attendance at the Highland Football Academy (Dingwall) was TRCF General Manager and Ross County & SFA Football Development Officer, Gordon Duff . The results of months – if not years – of planning and preparation, The Ross County Foundation states in its vision that it will use the hook of football to provide opportunity, encouragement and change for the better across the Highlands & Islands of Scotland, through community development and learning initiatives which will have a strong emphasis on health & wellbeing and social inclusion. Steven Ferguson, Head of Youth Development / TRCF chairman, who has been chairing the steering committee that has been working closely to move the Foundation forward said, “This is an exciting development for Ross County FC. Many successful senior football clubs around the world have some form of charitable arm, which, although separate from the Club, support the delivery of activities that benefit the local community and surrounding area. The Foundation allows us to further enhance the existing work of our community department programmes and create new projects and initiatives within the vast area across the Highlands & Islands, enabling us to reach out and link with new areas, new groups and new people.